People often come to us wanting a completely custom, unique engagement ring that they can’t find anywhere else. The way our custom design process works is we create a 3d render or hand carved wax of your vision, depending on what would be best for the design. You get infinite revisions on the model until the piece is exactly as you want it. Then we cast it in the metal of your choice and set the stones. Typical turn around is 6-8 weeks, though more for complex, unique designs or materials. 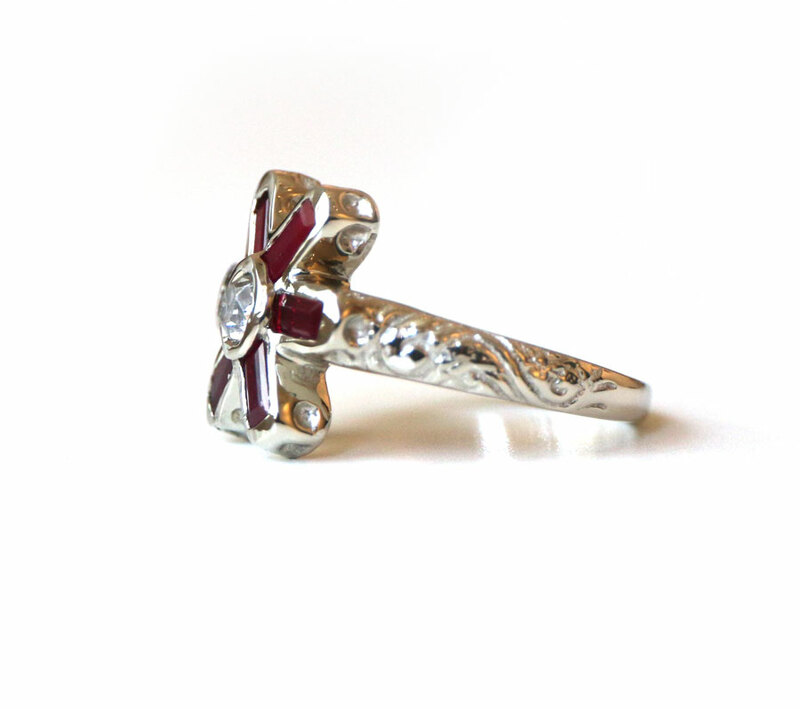 Below you’ll find examples of our process for a completely custom ring, a modification of a design and a reproduction. 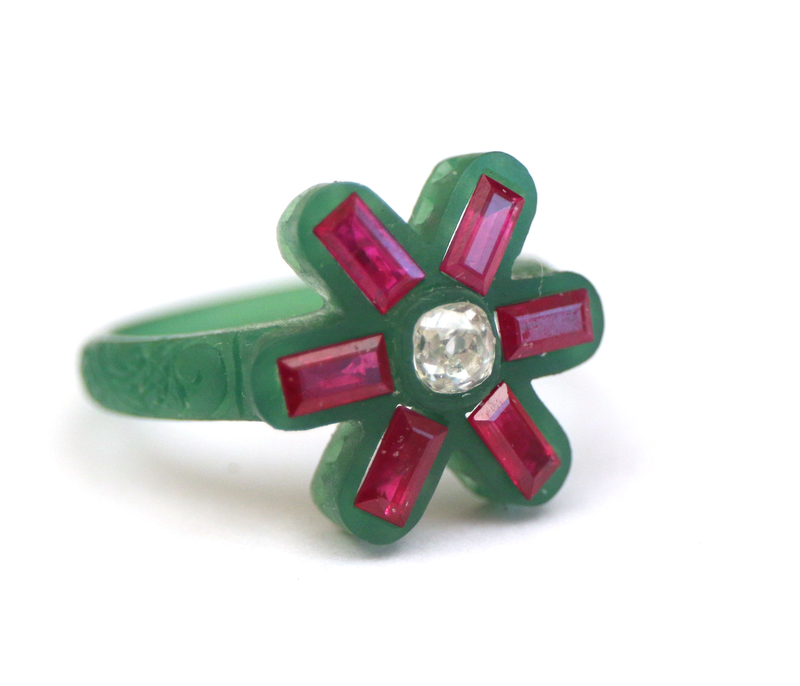 Blake’s girlfriend had fallen in love with an antique ruby flower ring they had seen in a museum. Given that it was not available anywhere for sale, he came to us with the pictures and asked to replicate the design. 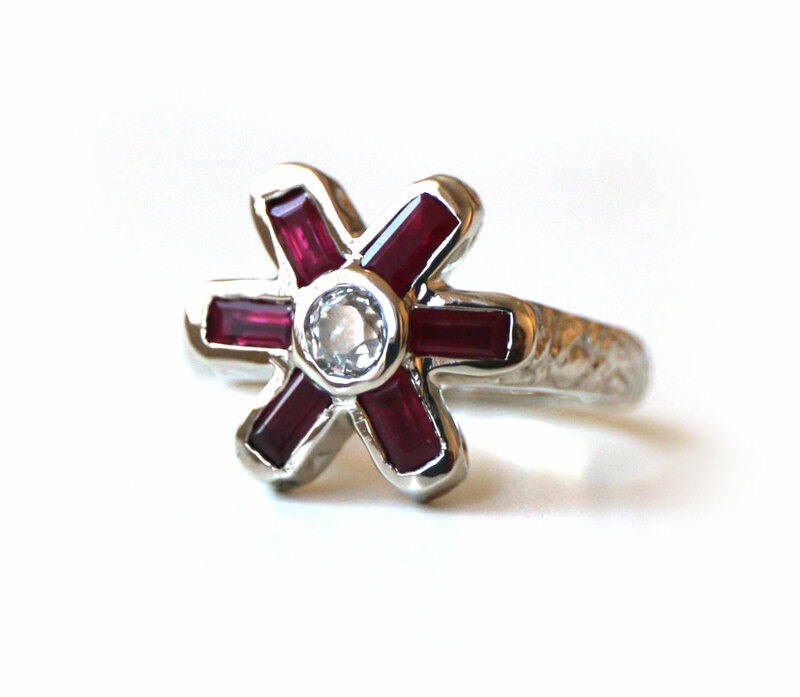 His request was to match the design identically with small rubies surrounding a diamond in the same proportions. He was also looking to match the type of setting, but the material would be white gold. 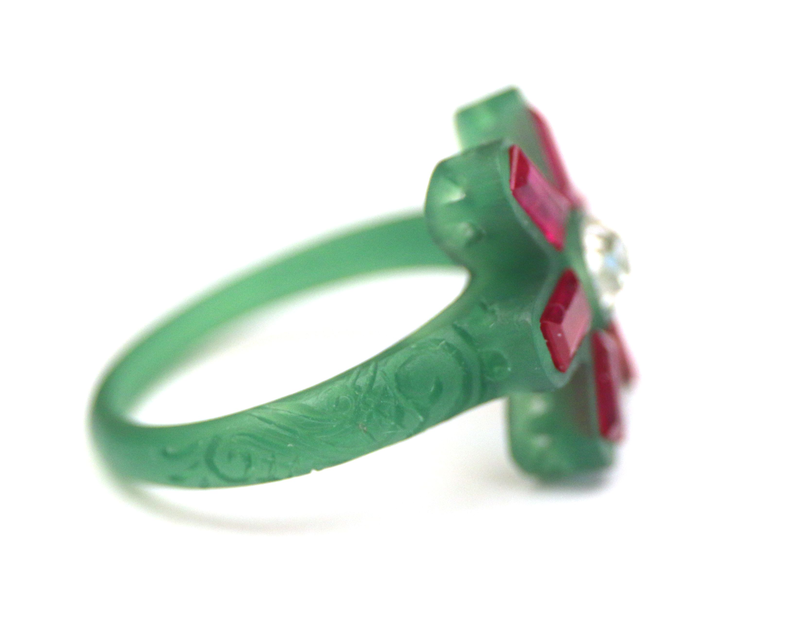 We hand carved a wax to perfectly capture the organic feel of the designs in the band. Once Blake approved of the images of the wax, we went to set it in 14k gold and cast the 6 ruby baguettes and diamond center stone. 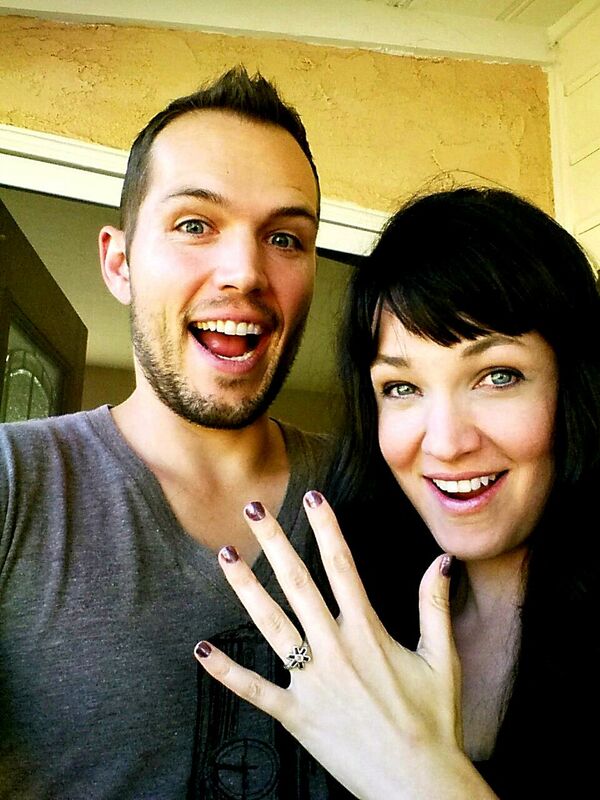 We were able to get the ring just perfect and Blake’s fiance is so thrilled to have ring just like the one she fell in love with at the museum.